Spring is in full bloom here in Washington State and the much-anticipated annual Tulip Festival is just around the corner! Running from the first to last day of April, the Skagit Valley Tulip Festival is a miraculous sight to behold, and you surely won’t want to miss out on Mother Nature’s beauty! The Festival is only two hours north of us here in Seattle, WA and we at Shafer Baillie Mansion offer you the best of the best accommodation during your stay. In this blog we’re going to cover just a few of many events that you can look forward to during your Tulip Festival getaway! This event combines some of the region’s greatest vintners along with local restaurants for world-class wine tasting! Tickets include a souvenir wine glass, unlimited taste testing, appetizers, chocolate samples, and more! Purchase Pacific Northwest wines and plan to come back every year! Note: Open containers are not allowed on Festival grounds. Rain or shine, join in on the fun during the 35th Annual Tulip Festival Street Fair hosted downtown Mount Vernon! There will be hundreds of juried arts and crafts vendors selling handmade gems such as jewelry, photography, fine art, clothing, delicious foods, fun gifts, and more! Enjoy live entertainment while you shop and visit the beautiful flower fields. Enjoy world-class wine during this pop up wine tasting event on April 19! Tickets are only $15 and come with a complimentary souvenir wine glass along with three samples of Official Wine of the Skagit Valley Tulip Festival by Pasek Cellars. All proceeds go toward purchasing art for the 2020 Tulip Festival poster, so not only will you be supporting the arts, but you get wine samples to boot! Spend a fun day shopping from over 35 vendors selling amazing repurposed home goods, gifts, garden items, and more! Search for antique treasures and artsy home decor in the vintage market, then go spend the rest of your day in the tulip fields. The Market is holding a special 21+ VIP event on Friday evening, so purchase tickets at the website for early-bird access. Saturday morning begins the full market, so be sure to purchase tickets ahead of time and bypass the long lines! Don’t feel like driving two hours from Seattle? Relax on a comfortable tour bus ride and receive professional tips on how to improve your tulip photography! Stops include photographing opportunities at the tulip fields and a lunch in La Conner. Call (425) 516-8838 for more details! Want to get some exercise in while viewing the tulips? Experience the festival on your own time with self-guided tours by bicycle! Rentals include equipment, festival information, tips, and maps. Call (360) 424-7461 for more information! The Tulip Festival is jam-packed with exciting events and wonderful attractions. Visit the official webpage for the full list of events during the month of April. We would love to share this natural Washington beauty with you, so be sure to book now with us at Shafer Baillie Mansion on Capitol Hill, Seattle! 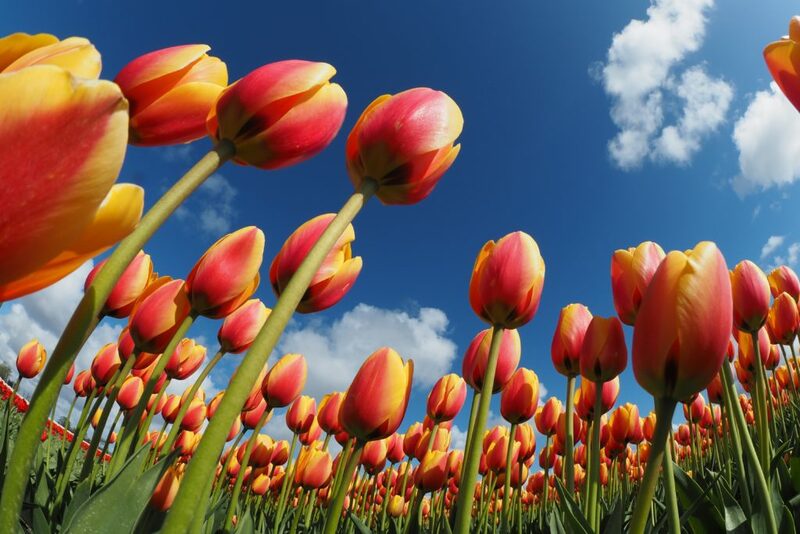 Have you attended the Tulip Festival in the past? Share your thoughts with us below! This entry was posted in Arts & Culture, Entertainment, Festivals, Local Events, Nature, Things to Do and tagged family events, family fun, festivals, flowers, hiking and nature, nature, nature events, seattle events, things to do, wine tasting by admin. Bookmark the permalink.